The Pascack Valley Regional High School District was the first district in the state to certify all faculty, staff, and students in CPR every year, starting in 2015. On Wednesday, March 13, 2019, that training paid off for one of our students. 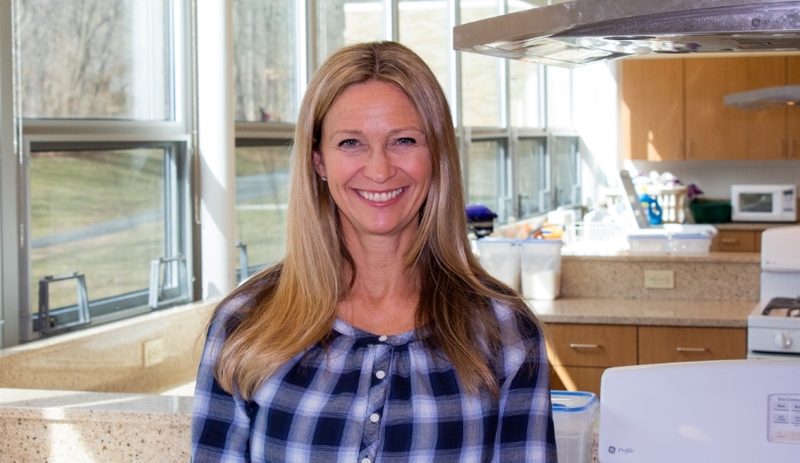 Mrs. Julianne Downes, Family and Consumer Sciences teacher at Pascack Valley High School, was teaching her Culinary Arts students how to prepare various chicken dishes. A student in the class took a large bite of chicken and began choking. “I saw that [the student] was having trouble breathing and couldn’t speak. I remembered the CPR training we had and I got behind [the student] and started doing the heimlich maneuver. It took a while - almost twenty times, but then the chicken came out and [the student] started to breathe again,” shared Downes. The school nurse, administration, and school Special Police Officers (SLEO III) also responded to the scene. Fortunately, the student required no further medical treatment. The district appreciates and is grateful to Mrs. Downes for her heroic actions that led to saving this student’s life. Further, we are proud of our entire staff and student body for taking this training seriously so that it can be used to help those in their greatest time of need.